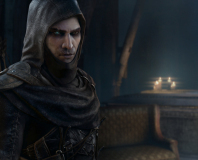 Eidos has confirmed that the Thief reboot, launching in the US today and on Friday here in the UK, will not support AMD's Mantle or TrueAudio technologies initially - but promises a patch will introduce both in the very near future. While early reviews of the title have been middling, fans of the series will doubtless be excited by its return. Those on AMD hardware, however, won't be able to make use of Mantle or TrueAudio with its initial release. 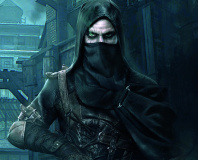 'We’re extremely proud of the work we’ve done with AMD to make the PC version of Thief a stand-out, definitive experience although we have a little more work to do to accommodate all of these new PC-specific features,' explained Eidos' Valerie Bourdeau in a message to fans. 'We are busy working on a patch to support AMD’s Mantle and TrueAudio technologies that is scheduled for March. We’re confident this patch will ensure the best and fastest Thief experience for AMD Radeon customers. 'We’re sorry we couldn’t bring this to you sooner – although we will use this time to bring you the very best experience possible and will let you know when the patch is ready,' Bourdeau added, before promising that AMD CrossFire and EyeFinity support will both be available at launch. The PC port, developed by Tomb Raider and Deus Ex: Human Revolution porters Nixxes, requires a dual-core system with at least 4GB of RAM, an AMD Radeon 4800 or Nvidia GeForce GTS 250 series GPU and at least 20GB of hard drive space at its minimum settings. 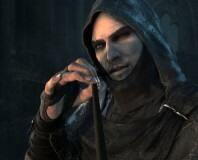 Eidos recommends Windows 7 or 8, an AMD FX 8000 or quad-core Intel Core i7 processor, greater than 4GB of RAM and an AMD Radeon R9 or Nvidia GeForce GTX 660 series GPU for best performance.